Have you ever had the desire to channel your inner Rembrandt? How about getting together with some friends to have a glass of wine or two, and enjoy a unique activity? 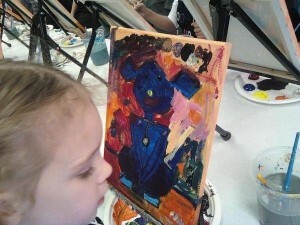 Does your child create the most phenomenal paintings this side of Picasso? Then you&apos;re going to want to visit Hendricks County in October for some art events that combine painting and refreshments for all ages and experience levels -- including none whatsoever. By now, most people have heard of Wine & Canvas. You gather up some friends, crack open a bottle of wine, and paint a picture. My wife has been attending Wine & Canvas events for a few years now, and she loves them, despite having no prior artistic experience. She enjoys the camaraderie with her friends, and she likes how everyone paints the same picture, one step at a time, following the guidance of an instructor. Our walls are lined with terrific pictures that she has painted, making for unique and sentimental decor in our home. 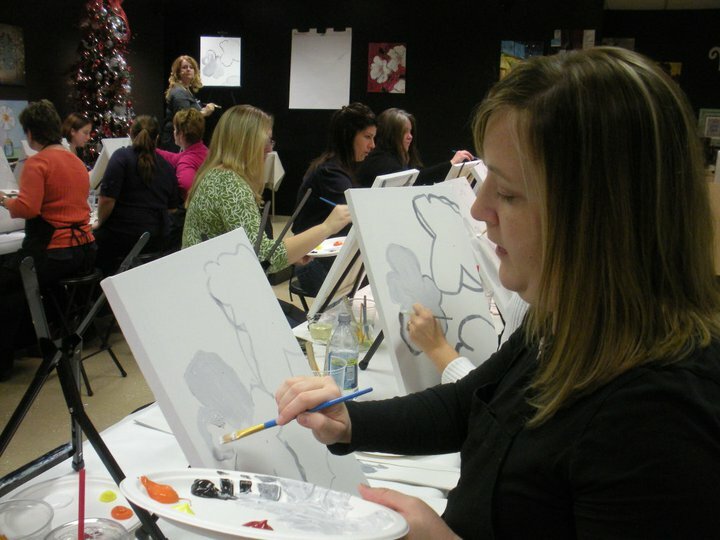 The nearest Wine & Canvas studio is on the northeast side of Indianapolis, but from 6 to 9 p.m., Oct. 9, Frazee Gardens in Brownsburg, Ind., is hosting a Wine & Canvas event. For just $35 a person, you get three hours of entertainment, plus a neat picture to take home at the end of the evening! Register for this event by clicking here. Since law enforcement frowns on providing alcohol to children (what a bunch of killjoys, right? ), Frazee Gardens offers Cookies & Canvas for kids! Same concept: Bring the youngsters and a bunch of their friends, let them get all sugared up on cookies, and then unleash them on a canvas with some paint and brushes. My oldest daughter attended her first Cookies & Canvas event a few years ago, and I remember chuckling as she and my wife left the house, wondering what kind of monstrosity my daughter was going to bring home. As it turns out though, her painting was amazing! She was 4 years old at the time, but the instructor was so good and patient that my daughter was able to master each step and bring home a neat painting of a dog that still hangs in her bedroom. Frazee Gardens hosts this event from 3 to 5 p.m., Oct. 13 It&apos;s only $20 per child, and your kid(s) will have a blast. Register for this event by clicking here. Similar in concept to Wine & Canvas, Paint & Sip is located at the Gallery on the Square in Danville, Indiana. Gallery on the Square will host its next Paint & Sip event from 6:30 to 9:30 p.m., Oct. 17. Participants will paint a picture of an island sunset for just $35 a piece. Register for this event by clicking here. More Paint & Sip events are planned for Oct. 19 (there is currently a waiting list for this one), Nov. 14, Nov. 19, and Dec. 12. What a fun reason to get out of the house as the weather gets colder, as well as a source of inexpensive and meaningful gifts for the holidays! 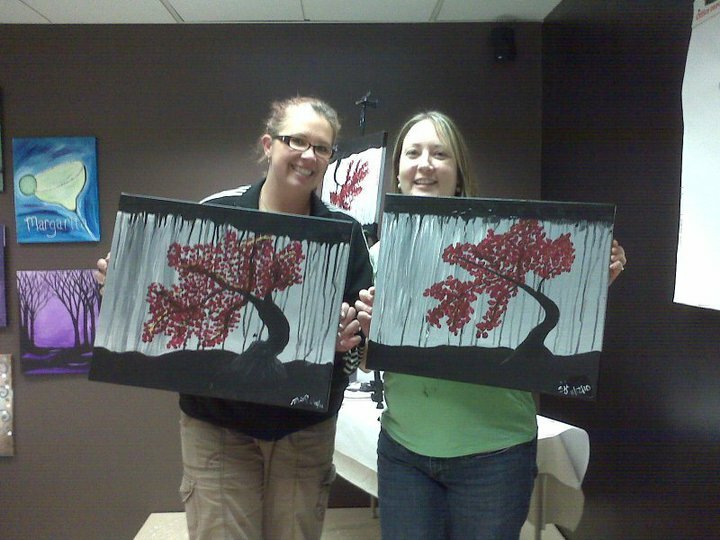 As with Wine & Canvas, Paint & Sip is available for private events, birthday parties for adults and for kids, company events, visitor groups and just about any other group you can think of. Gallery on the Square is willing to host the event or bring the party to your home or place of business. Click here for more information. So which painting events are you attending? When you finish your masterpiece, have someone snap a photo of you and your painting, and then post it on our Facebook page! We&apos;d love to see your creation, and we might even share it on our Pinterest page!